Cotton fabric is soft and durable. Ribbed crew neck sets you up with a nonrestrictive fit. FC Barcelona team crest is printed on the front. 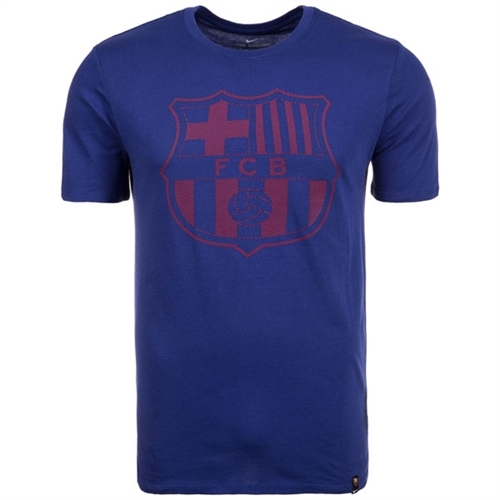 Our Nike FC Barcelona Crest T-Shirt features the team crest printed across the center chest and soft, lightweight cotton fabric for all-day comfort.